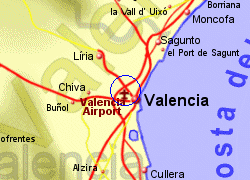 Valencia Airport is located 8Km East of Valencia with good access to the motorways for the Mediterranean or inland. Bus to Valencia 15 minutes during daytime approximately €1.50. 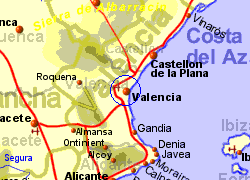 Valencia has a Metro underground rail system with a station at the airport. Trains run at approximately 10 minute intervals during the day, with the a journey time of 21 minutes to the main railway station near the city centre, or 45 minutes to the marina. 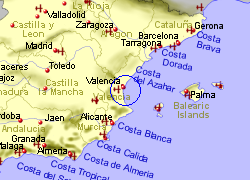 Taxis to Valencia approximately €20.